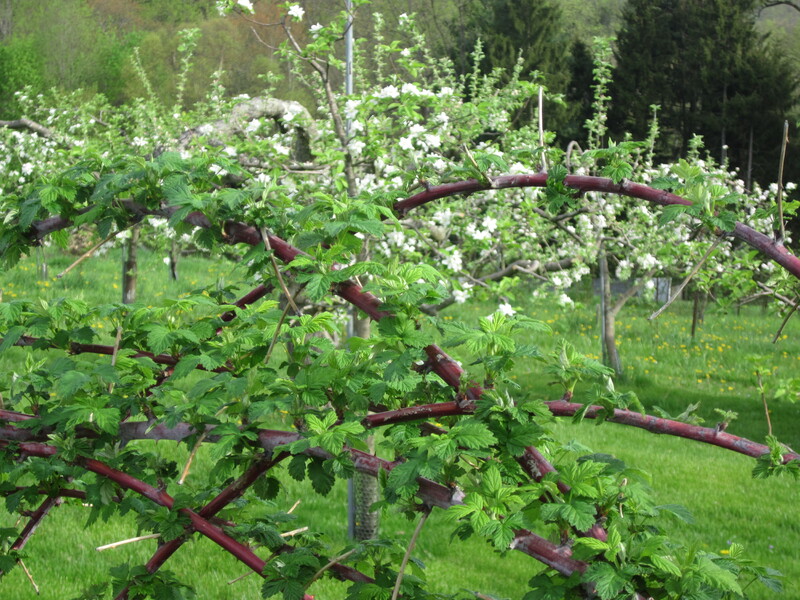 Broad Valley Orchard » ORGANIC FARM FOR SALE! 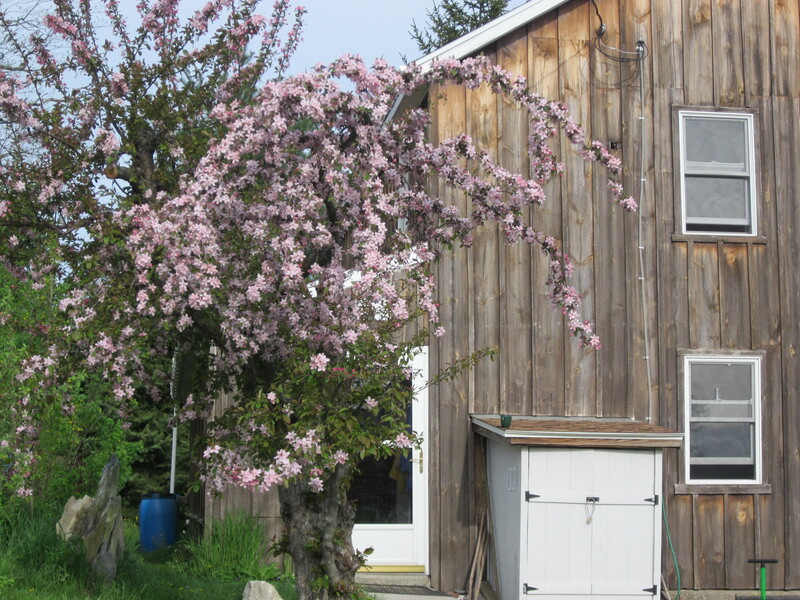 This page provides information about the Broad Valley Orchard property residence, farmstead, and business. PLEASE only contact us if you are interested in buying and have questions or want to arrange a site tour. We are still working the farm and will make time for serious inquiries. Thank you for being considerate. 717-677-4131. 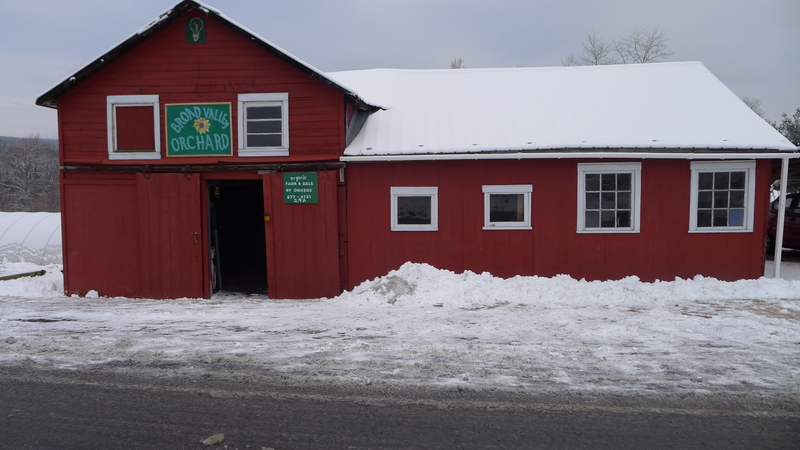 Broad Valley Orchard was purchased by the current owners in 1983. Location: 1934 Wenksville Rd., Biglerville, PA 17307. Total Acres: 2.9 acres; 1.25 cultivated including small orchard, gardens, berry plantings; 1.25 acres in pasture (for goats at this time); about .4 acres for buildings. Farm Practices: organic. Small tools and walk-behind tiller/sickle bar. No tractor. We are not Certified Organic because of the expense, and because we were organic before there was federal oversight for the practice. For a number of years we were Certified Naturally Grown but stopped when we downsized to being just a CSA farm. 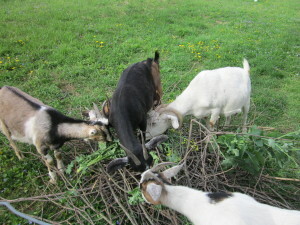 Our customers can visit to see how we grow produce. 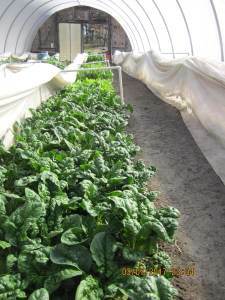 Farm Philosophy: Growing a healthy soil grows healthy produce. Soil: Primarily Highfield Chanery Loam. Excellent topsoil and drainage. Aspect: Rural. Hillside farm with north face, good drainage and erosion control. 3 small utility rooms. One is used as a tool room. One is a stored product pantry. One small room with air conditioner is used as a walk-in fruit and vegetable cooler. 2 room root cellar. This area has a dirt/gravel floor. The electrical box, well pump, and water heater are located here. Because there is no furnace, this space is excellent for winter storage of potatoes, some late varieties of apples, and other ‘root cellar’ produce, as well as for small carboy production of beer, wines, and hard ciders. Full southern aspect with excellent passive solar (great solar panel potential). Full southern face framed enclosed insulated porch. Cement floor. Large windows. 2) Small Barn is a wooden structure approximately 20’x45’ that has a section that contains a 2nd story loft for light storage above the section currently used for firewood storage. The other section has a small haymow and 2 goat stalls. This structure was here when we purchased the property in 1983 and required extensive repairs at that time. 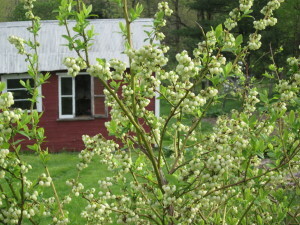 4) The first tool shed is near the residence and is approximately 11’x15’. It is a wooden structure with an outside deck attached. The floor is slate stone in cement. One section is for hand tool storage. 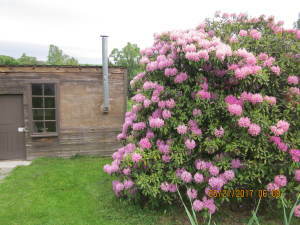 One section is a small insulated room with a wood stove (sauna). The second tool shed (6’x8’ wooden structure) is located at the other end of the farm for tool storage. Our small woodlot is in the background. 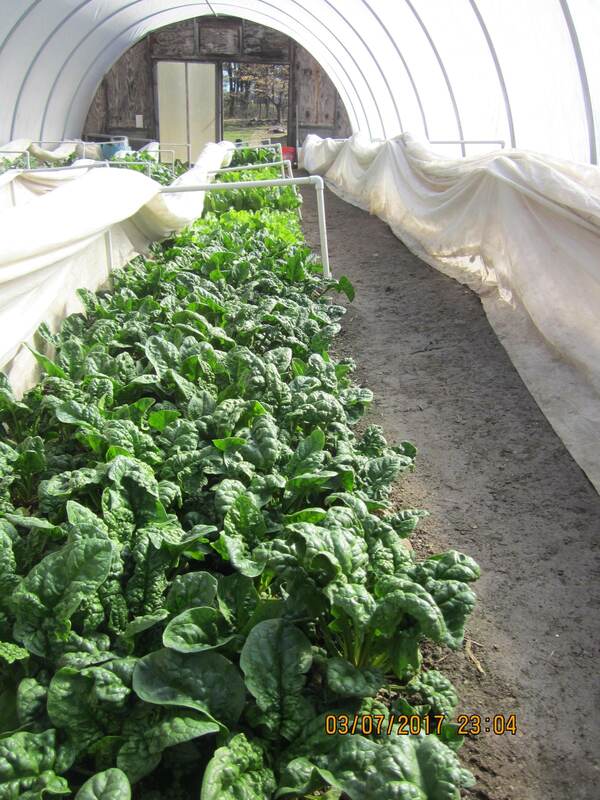 5) 3 high tunnels, each 17’x48′. 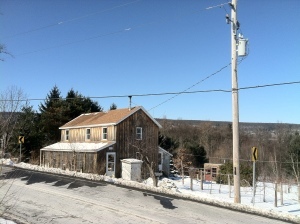 One is located near the house and barn (south end of the farm). The other 2 are located at the north end of the farm. All are full south face. The 2 located at the north end of the farm are near the truck gardens. Michaux State Forest is the ridge in the background. 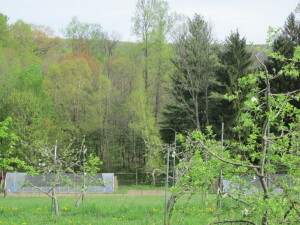 Behind left high tunnel is our small wood lot. 6) Parking. 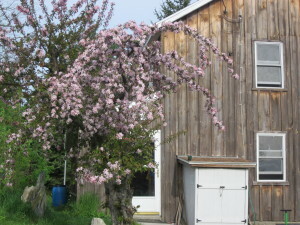 The carport (covered) is freestanding, 8’x16’, and is east of the barn. 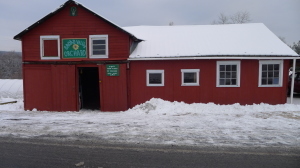 The open parking space is west of the barn and has a similar footprint. There is space between the barn and the road for a few additional vehicles to pull in. This farm is located in a rural area, primarily orchard country. Most people looking to farm want something bigger. First, you can do a lot with a little bit of good ground. Second, to be successful, it is good to start small and build when you have the resources to do so. There is potential to grow in size here. While we are rural, Broad Valley Orchard is about 15 miles from Gettysburg, 20 miles from Carlisle, 12 miles from Shippensburg, 15 miles from Chambersburg; all college/university towns and preferred customer base. There are grower collaboratives and markets established. PA Preferred and Fresh and Local are visible and becoming a greater market segment. At our peak, with 2 adults working the farm full time, we operated a 40+ family CSA, went to 1 farmers market, maintained a list of customers that purchased in bulk, and sold produce to several restaurants and health food stores. This was without a tractor. With a tractor, one person could manage the farm while a partner worked a full time wage/benefit job. With a tractor and a part-time helper, one person could manage the farm with a part-time job on the side. Front entrance with water barrel in view. Flowering apple trees seen through greening black raspberry canes. For sale, lock, stock, and barrel.